After multiple failures we have a success! 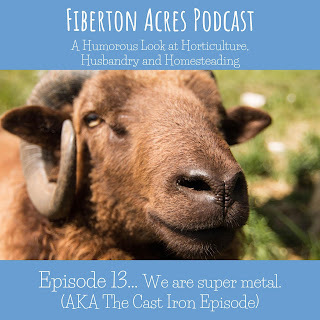 Computer crashes, memory issues, and some other things I don't remember made us a bit late on this wonderful episode all about cast iron! Cast iron is great and wonderful but FYI those wrought iron fences attracts ghosts. Check out the episode on your fav podcast player, or click right here to listen directly on SoundCloud.